I have something I’d like to share with you and also something creepy/cute to give away. Beside the animated gif I also have a freebee for you. It’s an illustration of Griselda, also really suitable to use as a halloween greeting card. You can download it for free and personalize it the way you like. I’d suggest to print it out and style it in your own unique way. You can for example color it in, draw more on it, fill out the speech bubble with a nice personal creepy message… I think brave children will also enjoy coloring it in. Just be creative! 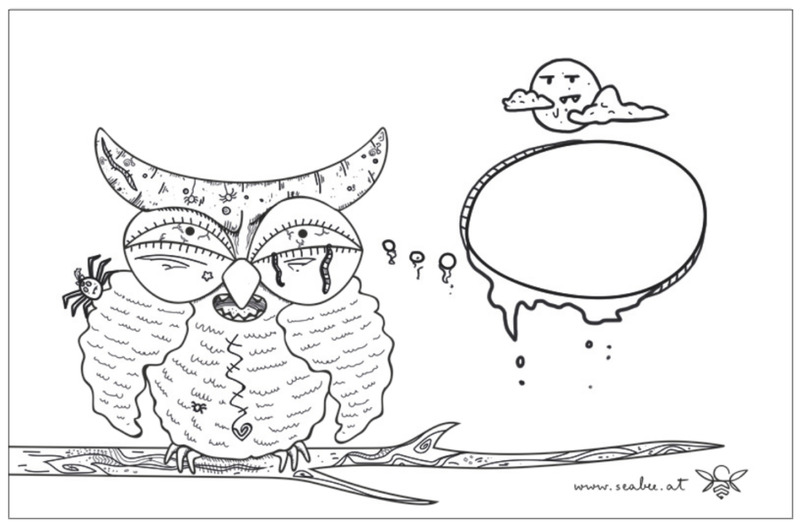 I’d be happy if you like to share your creations with me, you can send them to me via email to info@seabee.at or share them via the hashtag #griseldatheowl. There will definitely be a surprising reward for the participants. I’m looking forward to see more creepyness!